Click the button below to call Zone CCTV. Alternatively request a quote or a call back using the form below. What happens when you apply for a quote? Once you have submitted your enquiry, one of our highly skilled engineers will return your call and help start the process of CCTV installation or upgrade in your home and business. We will undertake a preliminary examination over the phone. This is just to ensure we are coming to visit you equipped with the right knowledge and tools to undertake our extensive survey of your house. At ZoneCCTV we provide custom quotes to each customer depending on their circumstance and security needs. Once we have confirmed a mutually agreeable time for us to visit your premises. One of our local engineers will come to your property and undertake a full property check. This normally takes around 1 hour. However depending on the size of the size of the property this may take longer and is is especially true for a business CCTV installation. Once we’ve completed our property check. One of our engineers will sit down with you and discuss your security desires, property weaknesses as well as potential limitations to your CCTV installation such as neighbouring property. No longer do you have to settle for expensive packages you don’t need, or cheaper packages you don’t want. 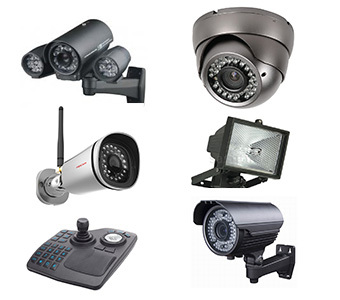 Get a quote today and find out how ZoneCCTV can help with your Home or Business CCTV needs. This will then allow us to provide you with a fully costed quote, within which you are able to see the individual costing’s for each product or service which of course you are able to edit yourself independently after. We can then continue straight to installation at a time to suit you. Please fill in an enquiry form or ring one of our local engineers. We will respond as soon as possible and start you on your CCTV journey. If you’re looking at Home or Business CCTV look no further than ZoneCCTV. See below for a selection of businesses across Leeds and Yorkshire relying on Zone CCTV for enhanced security at their premises.